“List of Seed Plants in Ailao Mountains of Yunnan Province, China” with Prof. Zhu Hua as editor-in-chief has been published in December by Yunnan Science and Technology Press. Located at the juncture of the Yungui Plateau and the Hengduan Mountains, and that of two large natural geographical regions, the Ailao Mountain becomes a divide between the eastern and western landform type. Prof. Zhu Hua and his research team classified more than 3,000 seed plants specimens collected at the core area of Ailao Mountain Nature Reserve and other regions nearby over the past four years. On the basis of the classified specimens and 10, 000 information obtained from the main herbaria of China, the research team studied the floristic characteristics of seed plants of Ailao Mountains and compiled the List of Seed Plants in Ailai Mountains of Yunnan Province, China. 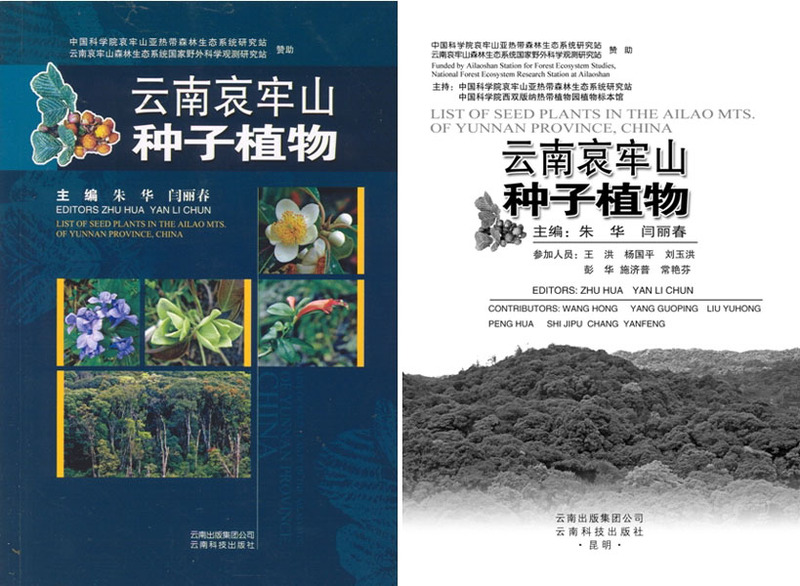 2242 native species and 206 varieties (including subspecies) belonging to 199 families and 956 genera of Ailaoshan region are described and documented in the monograph. Scientific names, common names, brief descriptions, habitats, and distribution areas of the plants are available in the list. The monograph, analyzing the floristic composition and characteristics of Ailao Mountains, is a comprehensive inventory of the biodiversity of plant species.